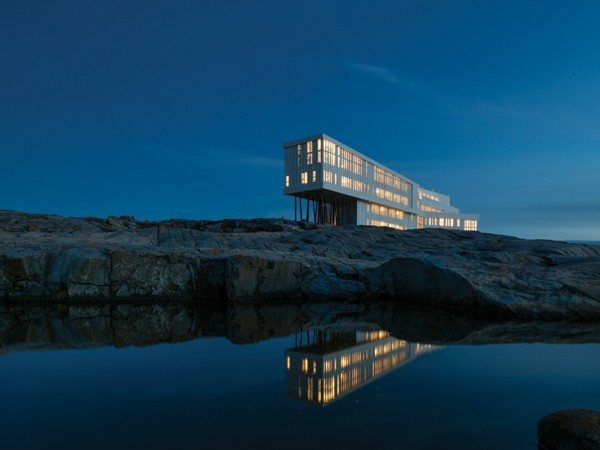 Despite its remote location along Iceberg Alley, on the northeast coast of Newfoundland and Labrador, the Fogo Island Inn has become a hot international destination for affluent travellers desiring a little modernity with their rustic ocean views. 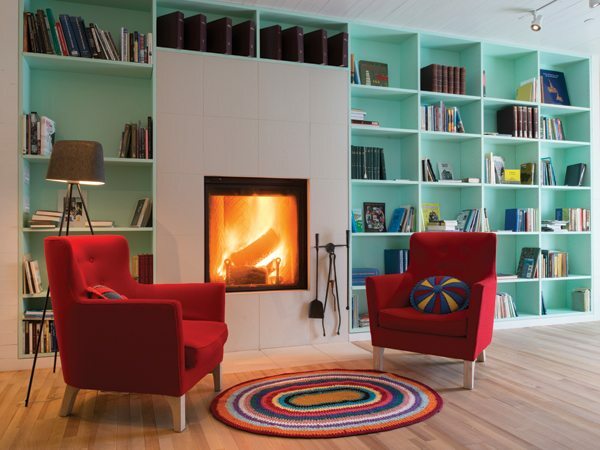 Its cozy library is also one of the best places to take a crash course in Newfoundland history and culture. Designed by architect Todd Saunders, the 29-room inn is inspired by outport fishing shacks, looming over the rocky coast like a ship on stilts. 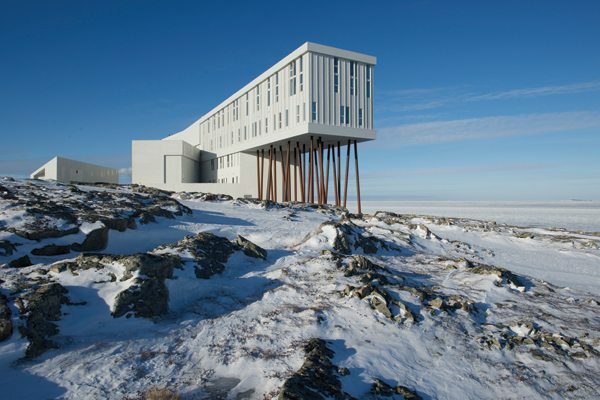 The hotel is the brainchild of Fogo Island resident Zita Cobb, a millionaire who made her fortune as a top exec at JDS Uniphase in California before returning home to launch the Shorefast Foundation. Cobb’s charity promotes the island’s local culture and eco­nomy, which had suffered since the 1990s collapse of the fishing industry. As part of her efforts, in 2013 Cobb developed the luxury inn, gallery, and restaurant, along with a residency program for artists and an online furnishings shop. The connection between the hotel and Newfoundland publishing began well before the first stilt even entered the granite shoreline. From the beginning, design plans included a heritage library of locally published books, which would be open to the public. The pale-green paint on its shelves is an exact match of the colour found in the Fishermen’s Union general stores that used to have a ubiquitous presence across the province (inn employees refer to the colour as F.U. Green).